I get a lot of people asking when they should book their newborn photo session, and my answer is always the same: before baby arrives and the sooner the better! The ideal time to confirm your booking is towards the end of the second trimester, when you have had most of your scans and you have a reasonably accurate due date. Don’t worry, it happens all the time! When you book your newborn photo session, the exact date is only provisional. It lets me balance my workload so I can guarantee your baby’s photo session will happen within 3-18 days of their arrival. I block out an entire day for each newborn as it can take 3-5 hours depending on how quickly and deeply baby settles. I never rush a session as I want to give you the best images possible whilst taking the utmost care with your new arrival. The ideal window for photographing a newborn is in the first 3 weeks. After this time, babies become more alert, restless and less willing to settle in some of the newborn poses. While I will always do my best to squeeze a client in, unless a booking is made in advance I cannot promise I will be able to photograph your newborn baby within the ideal window. This may mean the variety of images we can obtain is reduced or at busy times I may be unable to fit you in at all! If that happens, it is often better to wait and book one of our older baby ‘milestone’ sessions instead. The moral of this story: Book your session as soon as you have your confirmed due date! 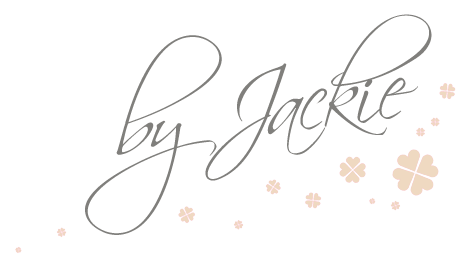 Contact Jackie today to check availability. Wow - what a year 2018 has been! Receiving a bronze award in the RISE photography awards, was definitely one of the highlights of my year. A bronze award in my first international competition, judged by some of the most amazing photographers around the world is an incredible achievement. In October, I received confirmation of my qualification with the Accredited Professional Newborn Photographers International (APNPI). I am the first newborn photographer in England to achieve this international accolade! Of course, my biggest news of the year was finally finding my perfect studio. It is a lovely relaxing space with loads of natural light - the perfect place to create amazing images. I can't wait to see what we can do there next year! Photographs and displays make wonderful Christmas presents - who doesn't love a picture of their child or grandchild? Drop me a line today to order gifts for your loved ones! Little Alexander was an absolute darling at his first photo-shoot with me, and I think he really liked his little elephant (hand-made by my mum!). Here are some of my favourite images from his newborn photosession.